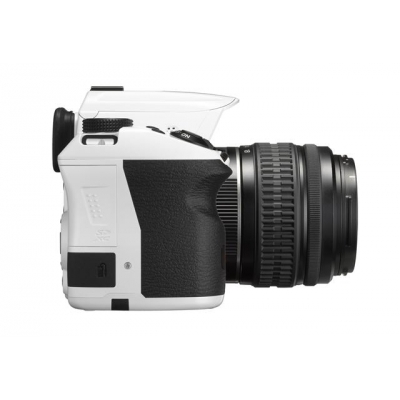 This new mid-level model offers all standard SLR features and outstanding operability. All of that packed in a compact, weather-resistant, dustproof and lightweight body for worry-free outdoor photography. 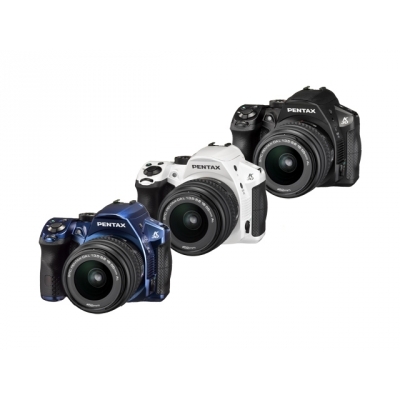 This model is developed to help SLR beginners easily capture high-quality shake-reduced 16 megapixel images. 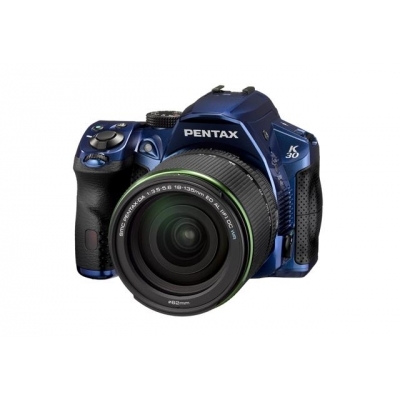 The PENTAX K-30 combines a compact, lightweight body, equal in size to entry-class models. Many of its advanced features are found only in upper-class models, such as a weather-resistant, dustproof, cold-proof body and a glass prism finder with nearly 100% field of view. 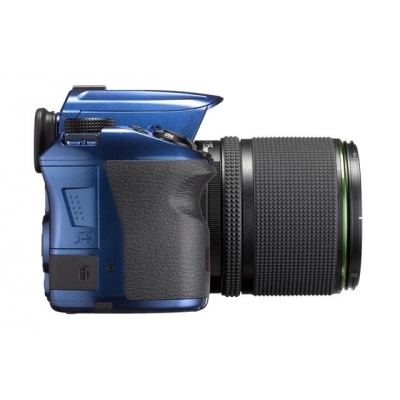 It also offers such handy features as a high-speed shooting of six images per second, a 1/6000 second high shutter speed, and a full-HD movie function. Coupled with a grip providing a firm, comfortable hold of the camera, and a sporty, functional design, it assures dependable, flawless performance on the field. It even offers a choice of three body colors: Crystal White and Crystal Blue, with brilliant, glossy finishes reminiscent of an exclusive sports car’s finish; and Classic Black, for a traditional, classy SLR look. The K-30 incorporates the latest CMOS image sensor with a large image-capturing area measuring 23.7mm by 15.7mm. 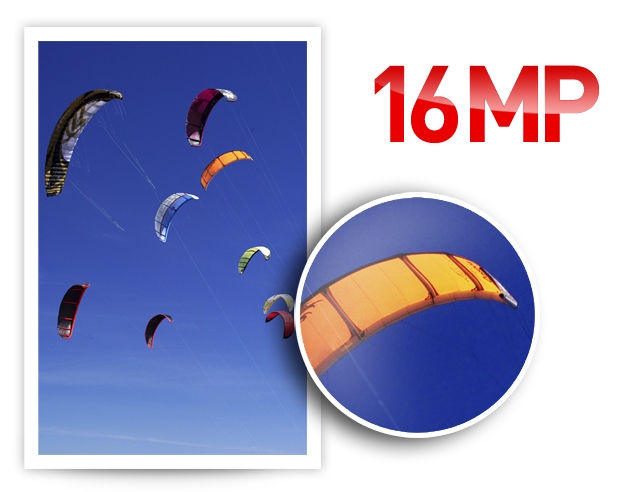 It assures high-speed image data readout to deliver super-high-resolution, rich-gradation digital images with 16.28 effective megapixels. This image sensor is coupled in the K-30 with the PRIME M imaging engine for the recording of high-quality, full HD movie clips (1920 x 1080 pixels, 30 frames per second). The camera also minimizes luminance noise at low sensitivities, while offering a wide sensitivity range between ISO 100 and ISO 12800 (or even ISO 25600 when expanded via a custom function). Thanks to the 81 seals set in its compact, lightweight, portable body, the K-30 is built to be weather-resistant, dustproof and cold-resistant, as well as proven functionality in temperature as low as -10°C. This means that the K-30 can be taken along on outdoor activities such as camping and mountain climbing, for the joy of high-quality digital SLR photography without worrying about weather conditions. Its exterior has been designed to be both sporty and functional for active outdoor shooting: a large grip for a firm, secure hold of the camera; a low-profile pentaprism housing for reduced height; and a rounded, soft-rubber casing for firm hold of the camera during vertical-position shooting. Despite its compact body that is smaller and lighter than conventional mid-level models, the K-30 comes equipped with a glass prism finder with nearly 100% field of view and approximately 0.92-times maximum magnification (with a 50mm f/1.4 lens at infinity) to cover the entire field of view for easy focusing and framing. Since it delivers a clear view of the subject even in bright sunshine and eliminates parallax and time lag in the viewfinder image, the K-30 responds efficiently and reliably to demanding applications and subjects, such as landscapes requiring delicate, high-precision framing, and sports scenes where the timing of shutter release is critical. 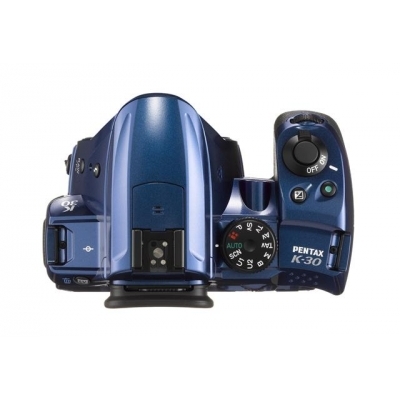 The K-30 accepts a PENTAX-original Natural-Bright-Matte III focusing screen to facilitate manual-focusing operation. The photographer can replace the standard focusing screen with one of the available optional screens, including cross-lined and scale types, to accommodate more specialized applications. The K-30 features the state-of-the-art SAFOX IXi+ AF sensor module, which assures responsive, high-precision autofocus operation by incorporating a diffraction lens to minimize chromatic aberration in accordance to the characteristics of each individual lens. It also factors the light source at the time of shooting into its calculations. Nine of its 11 sensor points have cross-type sensors to capture all kinds of subjects in sharp focus, while its spotbeam projector assists the AF system at poorly lit locations. The K-30’s AF algorithm has also been upgraded in all areas. A new select-area expansion function allows the sensor module to continue to track a moving subject, even when it moves out of a pre-assigned auto-tracking area, by assessing distance data collected by neighboring focus sensors. The accuracy and speed of detecting moving subjects during autofocus shooting, and autofocusing performance when using a telephoto lens, have been greatly improved as well.